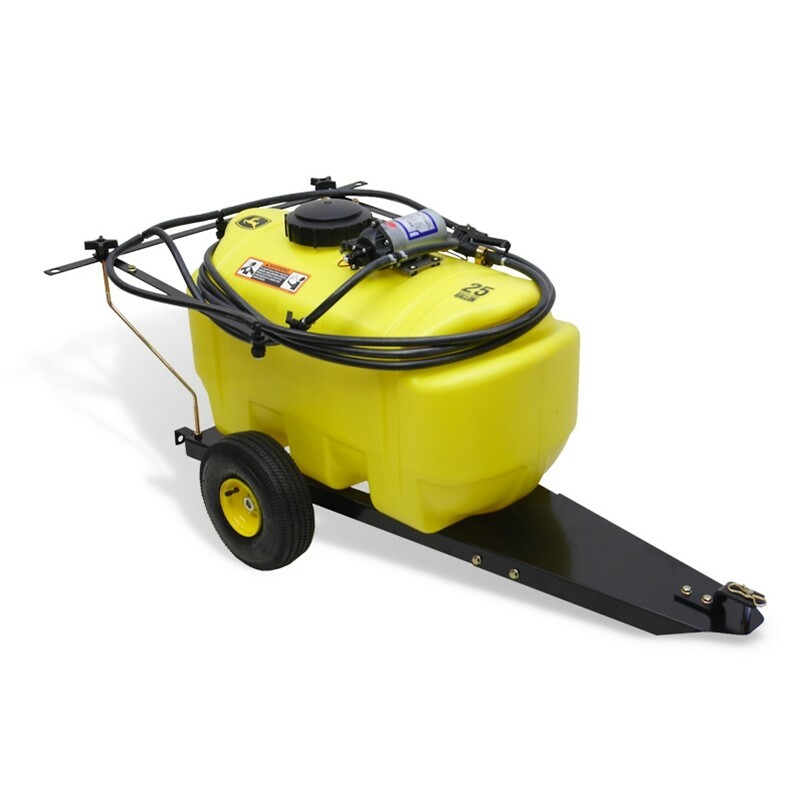 This 25 gallon tow-behind sprayer is especially suited for maintaining residential and small commercial properties. It provides an excellent way to apply spray material including liquid fertilizer, weed killer, tree spray and de-icer. 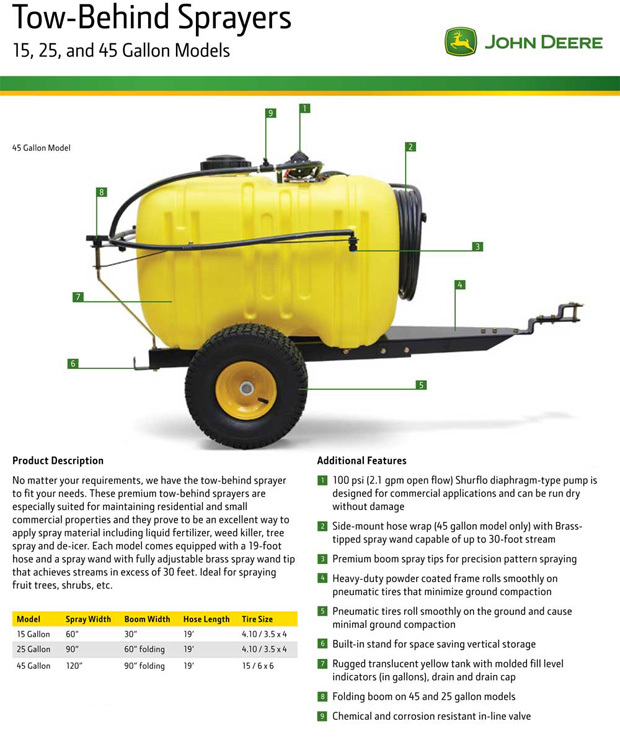 The 25 gal tow-behind model comes complete with a 60" folding spray boom that sprays a 90" swath. It has three spray nozzles for precision pattern spraying. It comes equipped with a 19-foot hose and a spray wand for spot spraying lawns, shrubs, trees, etc. The fully adjustable brass spray wand tip achieves streams up to 30 feet. The heavy-duty frame rolls smoothly on 4.10/3.50x4 pneumatic tires that minimize ground compaction and have a low profile, which maintains a low center of gravity for excellent stability. Two-wire fused wiring harness complete with quick-disconnects for convenient electrical hookup. Built in supports for convenient vertical storage.